Now that Summer has officially started, it’s time to rethink your wardrobe! Don’t sweat the summer away. Pack away those heavy wool suits and opt for something lighter. Try our 100% linen Riverdale Suit in Natural! Crisp and cool for summer! This three-piece Suit is synonymous with al fresco lunch dates, lingering over Long Island iced teas, and (perhaps) warm weather wedding crashing. Get carried away in complete Edwardian style wearing our Carraway Linen Suit. Jaunty and just light enough for all the events on your summer social scene. Light taupe fabric with a dark taupe pin stripe. This 3 piece suit is made from a blend of 65% linen and 35% Cotton! 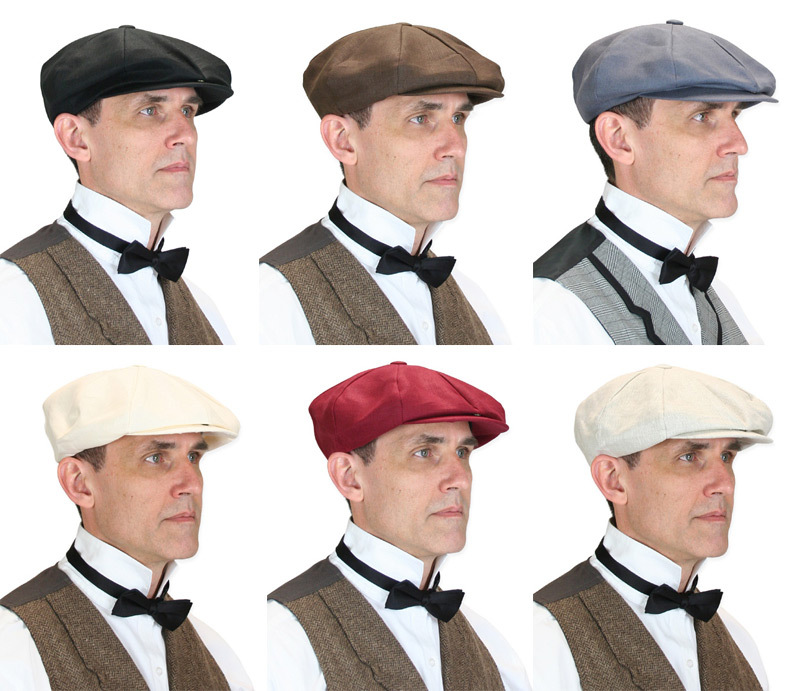 Make sure you accessorize your new fresh look with one of our new linen caps!